The top executives at both AT&T and Time Warner appear hopeful that President-elect Donald Trump and his administration will not stand in the way of their companies' $85.4-billion merger. Speaking at the Business Insider Ignition conference in New York on Tuesday, AT&T CEO Randall Stephenson said "the merits of the law suggest it's a deal that gets done." "This is a vertical merger," he said. "We compete nowhere. I don't think you can find an example where such a merger has been denied... Generally, vertical mergers are viewed as consumer friendly." A few hours earlier, Time Warner CEO Jeff Bewkes told the same audience that he wasn't worried, and even wondered if politicians who opposed the merger had confused Time Warner with Time Warner Cable, which is a separate company. "I'm not saying whether everybody thought it was the cable company merging with a phone company -- they're different competitive issues -- but it isn't that, and I think when it becomes clear what we're doing it will become clear to everyone that it will be pro-competitive, pro-consumer and improve competition in advertising," Bewkes said. Both Stephenson and Bewkes will testify before the Senate Judiciary Committee on Wednesday to address congressional concerns about antitrust violations. As a candidate, Trump had positioned himself as an opponent of the acquisition, calling it "an example of the power structure I am fighting." "It's too much concentration of power in the hands of too few," Trump had said. During the transition, however, Trump's team has shown more flexibility. Many Wall Street analysts now believe the Trump administration will actually be a boon for the deal. 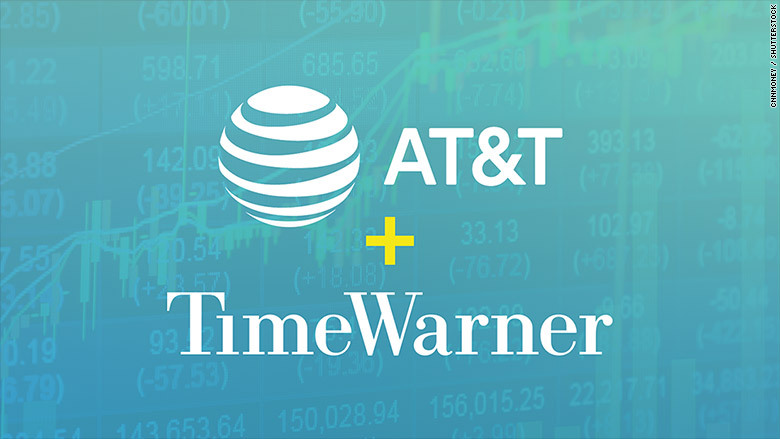 "AT&T's proposed acquisition of Time Warner likely has a higher probability of getting approved given the impending power shift in Washington, D.C.," Eric Handler, of MKM Partners, said in a note to investors last month. "We now view the likelihood of AT&T/Time Warner getting approved as a 70/30 proposition based on a recent expert discussion we held." On Tuesday, Stephenson suggested Trump may have expressed opposition to the deal because of his frustrations with CNN, which is part of Time Warner. "Look, anytime the president of the United States comes out and says they're not in favor of what you're trying to do, you have to pay attention," he said. "But I don't know what part of the deal he's referring to. I've heard rumors he's not happy with CNN, so that might have come into it."